Welcome to Paks Veterinary Drugs, Manufacturing Company Private Limited. Manufacturer and Exporter of Agro Products. The company was established in 1999 at Mumbai. We are a Member of Chemexcil & A I A I. Large production capacity, Capacious warehousing and packaging unit are the reasons behind our success. We offer a wide array of Animal Feed Supplements, Biscuits and Confectionery Products. Our Animal Feed Supplements, Biscuits and Confectionery Products are cost effective. 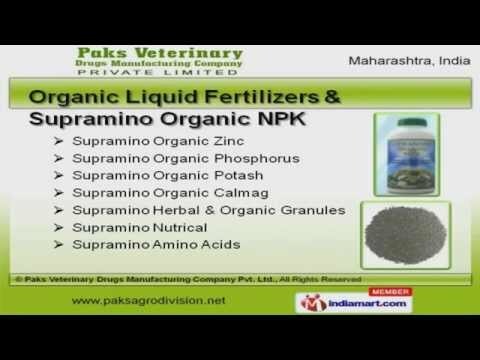 We offer Organic Liquid Fertilizers and Supramino Organic NPK that are widely acclaimed in the market. Cigarettes, Basmati Rice and Organic Plant Protectors offered by us are nothing but the best solution for all your needs. Along with that we offer Soya Fatty Acids and Biscuits for Bakery Outlets that are extremely reliable. We also provide Basmati Rice for Food and Basmati Rice for Hotel Industry that are a class apart.